As a homeowner you are aware of how beneficial it can be to acquire professionals to assist you with the variety of different installations and repairs that are associated with a home. Your garage door is one of the biggest investments on your house because of all the work it does. If it malfunctions, you want to be sure that you can get it fixed as quickly as possible. Not only does a faulty garage door create a serious inconvenience for you, but it also creates a safety hazard, leaving your garage vulnerable to intruders and energy loss. As one of the most common installations or repairs, garage door installation companies can be vast but there are factors to consider prior to hiring one. It’s always smart to get multiple bids when having any work done to your home. This will help determine what the usual rate is for the repair of garage doors and whether or not you’re getting a good deal. Be sure you are comparing companies that can be reasonably compared. Consider asking the following questions: How long have they been in business? Will the technicians arrive in company uniforms with well-marked vehicles? Do the companies offer 24-hour service? What warranty is offered? Do they use sub-contractors or are the technicians employed by the company? The physical address of the company. Verify the address using Google Maps or Waze. This will help you confirm if the address is real or fake. Check out their website. We’re in the digital era and by now every reliable company should have a website. If there’s no site at all then maybe you should kick them to the curve. A website is also important because often they’ll showcase their work on the site. Check out their online reputation. Conduct an online search using Google, Yahoo, or Bing of the company’s name. This will bring up positive or negative reviews from past customers. As consumers in the internet age, we always look for a business with the best and most online reviews. We don’t want to waste our time and money by taking a risk with a company having poor online reviews or no reviews at all. A Google review will generally tell you a few things: Whether or not the company delivered a positive customer experience; Where the company did an amazing job or not so amazing job; and What product or service a customer received from the company. In the end this can all help you choose the right garage door repair company. All of this information combined should give you a good idea of whether the company is worth pursuing and how they’re viewed in the industry. You can find a trustworthy garage door repair company by asking friends, family, co-workers, and neighbors. A positive referral or warning can help you in your search for reputable garage door company. The best part about asking people you know is that they’re going to be completely honest with you. They wouldn’t point you in the wrong direction of a bad experience, instead they will provide you with reliable information. Prior to considering a company, visit the Better Business Bureau website, and search their name. The BBB is a system that assigns rankings to businesses. The BBB stores data about the companies and uses dispute resolution procedures established by the Council of the BBB. Ratings scale from F to A+ and you can sift through reviews and complaints. This will tell you if a company is accredited or has poor rating, which will help you in your decision of whether to work with them or not. BBB also monitors advertising claims that may be false or misleading. All of this information will guide you in the right direction in making a decision on a garage door repair company that best suits your needs. In Angie’s List you can find the best local providers. They collect ratings and reviews on more than 720 different services. 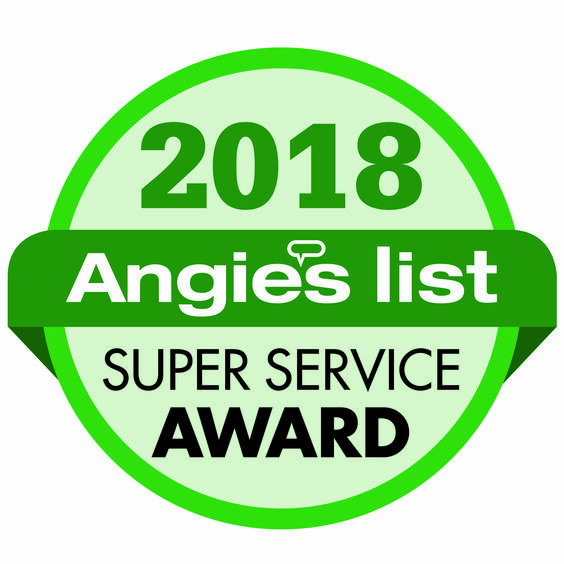 The people who join Angie’s List are just like you looking for a way to find trustworthy companies that perform high-quality work. Angie’s List members submit more than 60,000 reviews every month about the company they hire. Members’ share their experiences on Angie’s List and since there are always two sides to every story, companies can respond to reviews, helping make sure that members get all the information they need to make a hiring decision. Excessive Advertising. It’s important for a garage door repair company to advertise, but when it’s excessive advertising this may mean that the company has to recoup its expenses by charging high prices. Multiple Company Names. A company that uses different names on advertisements, websites and customer service phone lines indicates that they’re evading someone or something. Something Doesn’t Feel Right. Trust your intuition. An honest garage door repair company will make you feel at ease and if it gives you an uneasy feeling instead, then trust that feeling.